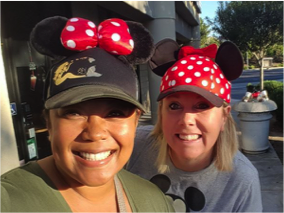 Chrissy and Brenda are Adult Transition teachers with the Livermore Valley Joint Union School District, have created a partnership with the community that addresses skills allowing student to relate and function in society without anxiety. They have been creative in funding their activities and you’ll want to learn their tricks. Adult Transition teachers with the Livermore Valley Joint Union School District, have created a partnership with the community that addresses skills allowing student to relate and function in society without anxiety. They have been creative in funding their activities and you’ll want to learn their tricks.